A detailed football award crafted in resin with an attractive gold and silver coloured finish, featuring a football and boot set against two stars and a ribbon backdrop, with a 1in centre on the stem and engraving plaque at the base. 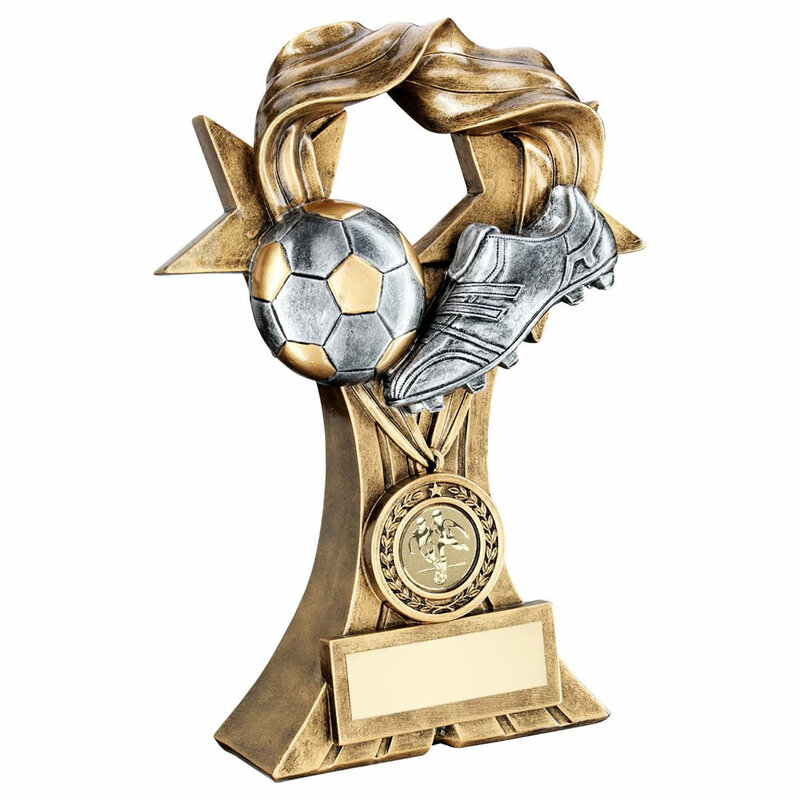 These versatile football trophies are suitable for both team and individual awards, and for both male and female recipients. They are available in three sizes and offered with text and/or logo engraving options for the base plaque.